• If the housing market has improved drastically, maybe you want to tap into the new equity. • If you’re not sure you want to stay in the home, refinancing may not be the best move. Instead possibly consider selling the home to pay back the existing reverse mortgage, then look at a HECM Reverse Mortgage for Purchase to downsize or move to a more suitable home. 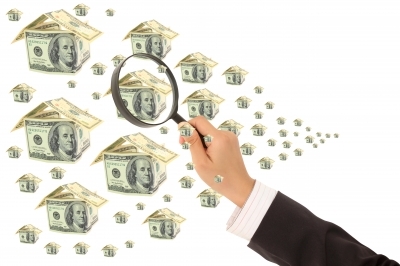 Can I Get a HECM Reverse Mortgage if I have a HELOC on the Home? The short answer is – absolutely. 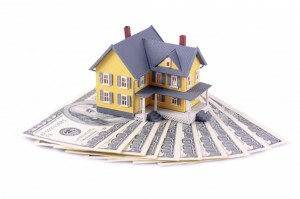 And as a matter a fact, HECM reverse mortgages are great options to eliminate HELOC payments. 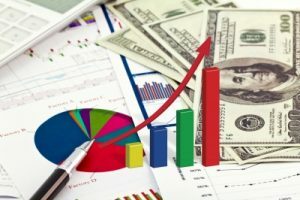 A HELOC is the acronym for Home Equity Line of Credit, and thousands in Connecticut have taken advantage of it. When the housing boom was in full swing a number of years ago, the values of personal homes gave their owners a strong resource to draw upon in the form of a loan. Unfortunately many of these loans amortized, leaving the borrowers with higher than predicted payments. Seniors 62 or older with a HELOC loan may be able to utilize a HECM reverse mortgage to relieve the financial burden. The HECM Reverse Mortgage, provides the borrower with non-taxable income that will not affect social security or Medicare, and can be used for whatever the borrower sees fit. The funds from the loan can also be received in various options such a monthly payments, line of credit, or a lump sum. Seeking the advice of a reputable reverse mortgage lender can help you make these decisions. During the application process, the HELOC will be discussed and a options of paying it off will be laid out. If you do not presently have a HELOC but are considering one and are age 62 or older, put HECM reverse mortgage on the table for a consideration as well. There will be advantages to both options giving you a sense of freedom to have choices. Can I Sell My Home That Has An Existing Reverse Mortgage? Typically when a senior takes out a reverse mortgage loan on a home, they intend to age there. But on occasion and for various reasons, the homeowners wants to or needs to sell the home before the loan comes due and payable. So, what now? Step 1.) Locate your reverse mortgage loan documents and find any pertinent information regarding the sale of the home. It will vary from lender to lender. Most (but not all) reverse mortgage loans are FHA insured. This means even if you owe more on the loan than the home is worth, you will never owe more than the home sells for. Consult with a real estate or elder law attorney if you have questions or concerns. Step 2.) Contact the reverse mortgage lender to get a payoff quote. This combined with a home appraisal will give you a good idea of what the sale will look like and what amount of funds you could potentially walk away with. Step 3.) Find a real estate agent. When seeking out an agent, be sure to provide your reverse mortgage loan information up front and look for someone who has experience with such a sale. Step 4.) Prepare the home for sale. From here, everything is similar to any home sale. You want to prep the home, keep it clean for showings, update anything you may need, etc. Step 5.) 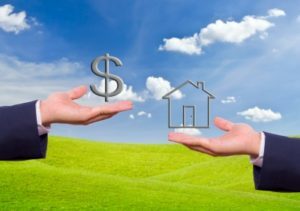 Sell the home, pay off the reverse mortgage loan (consult with a real estate or elder law attorney if you have questions when paying off the loan), then reap the rewards. Congrats! HECM reverse mortgages are available to seniors 62 and over all over Connecticut. To learn more, contact a reputable reverse mortgage lender. At the peak of the housing boom in 2005/2006/2007, many people took out HELOC (Home Equity Line of Credit) loans that allowed interest only payments for 10 years. But after that 10 year term is up, everything changes as principal is now added to the interest payments. Then to add insult to injury, many people are only vaguely aware of what this means. They had assumed the equity in their home would continue to grow and planned to sell before this loan was even due, along with various other scenarios based on the assumption the housing market would remain strong. But as we all know, in 2008 everything changed. Between December 2015 and March 2016, the default rate on HELOC loans jumped from 0.5% to 1.9% – potentially tripling the HELOC loans in trouble. Another large amount of loans have reset in 2016, leaving many unprepared homeowners with new debt. For senior homeowners, a reverse mortgage can help. To obtain a HECM reverse mortgage the borrower(s) must be aged 62 and over, live in their primary residence they’ll be wanting to loan on, and have at least some equity in the home. They CAN have a mortgage or a HELOC on the home, and still be able to get a reverse mortgage. 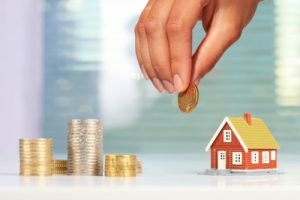 Some of the funds would need to be used to take care of these existing loans – but once that is done, the borrower will have access to the remaining funds to use as they see fit and they will always live mortgage and loan payment free. 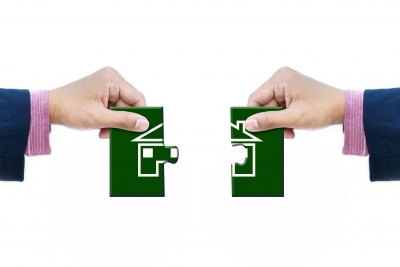 Scenario 1 – Homeowner has existing HELOC that has reset to include principal as well as interest. Because the HELOC was obtained 10 years ago, before retirement, income has drastically changed and the borrowers are now living on a much tighter budget – that did not include this reset. Solution 1 – By exploring the reverse mortgage idea, the homeowner finds they can completely eliminate the HELOC and convert the additional equity in the home into cash via a reverse mortgage line of credit or monthly installments – all while living loan and mortgage payment free. Scenario 2 – Homeowner has a HELOC that is about to reset on a vacation home, while their primary residence is nearly paid off. Solution 2 – By obtaining a reverse mortgage on their primary residence, they have the liquid funds available to pay off the HELOC on the second home without acquiring a payment on the primary home. And by using a reverse mortgage line of credit, they have created a nest egg for use now or in the future. These are only two examples of how a reverse mortgage can be used to manage debt. Have more questions? Don’t hesitate to contact me!